Tried, tested and respected in classrooms for over 35 years, Staedtler continues to produce high-quality, simple stationery essentials. This Staedtler Student Blister Pack contains; two classic Noris 120 HB pencils, a handy 150mm ruler, a ballpoint stick pen with blue ink, a Rasoplast eraser and a plastic pencil sharpener. 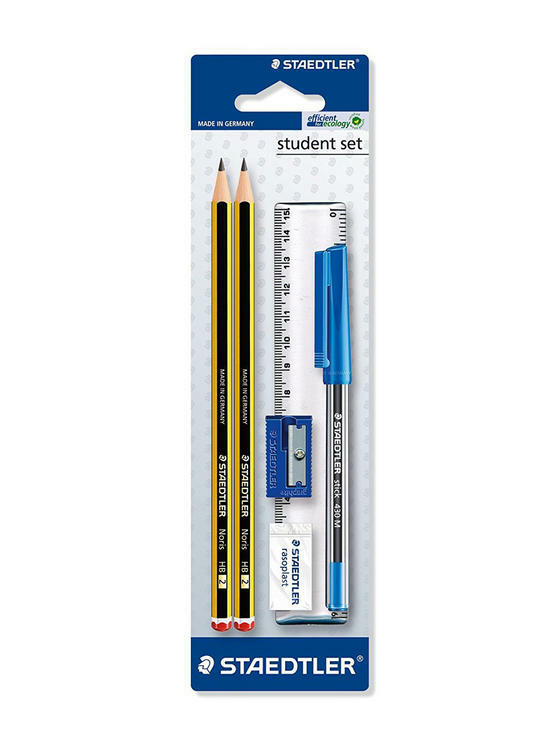 Ideal for going back to school, working in the office, or even for around the home - this Staedtler Student Set will keep you well equipped for your basic stationery needs. 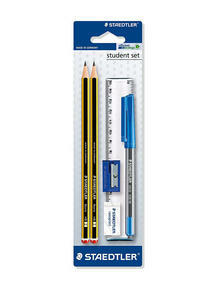 This Staedtler Student Set is the ideal stationery choice for going back to school, working in the office or just for around the home. 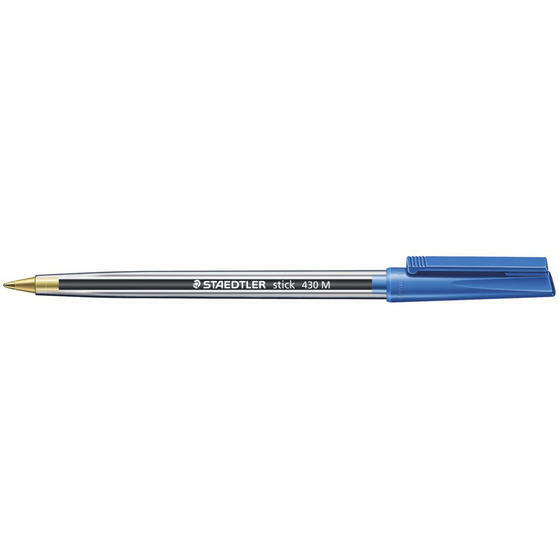 The simple yet brilliant blister pack contains two classic Staedtler Noris 120 HB pencils - trusted by schools for over 35 years. The aeroplane safe, blue ink ballpoint pen has a lid that can conveniently clip into your pocket for quick and easy access. Practical and pocket-sized the set is a great fit for a pencil case, with a handy ruler that measures to 150mm in metric and in inches. Complete with a small pencil sharpener and a Rasoplast eraser this high-quality set contains all your basic stationery essentials.